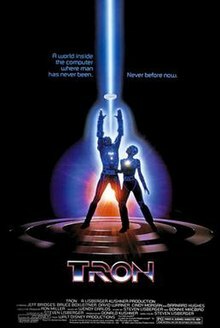 It was 31 years ago today that Tron first hit the movie theaters. No we didn’t see it on opening day – but we were there opening weekend. We LOVED all things Tron. Tron Legacy looked better than that first movie – for sure..but the story just isn’t nearly as good. Tron’s legacy for a myriad of reasons didn’t do so well 31 years ago. Today the latest Tron Uprising show (which is awesome) hasn’t been renewed and the minor Tron renewal that Tron Legacy might have spawned seems to have died.